Dr. Catherine Love Turlington grew up on the Eastern Shore. She went to undergraduate at Virginia Tech University and received a bachelor’s degree in Nutritional Studies. She went to optometry school at Nova Southeastern University in Ft. Lauderdale, Florida. She returned to Staunton, Virginia to work closely with an ophthalmologist, during which time she gained valuable experience and knowledge. She started her practice on the Eastern Shore in Exmore, in an existing ophthalmology practice. When an opportunity presented itself for Dr. Turlington to start her own practice, she eagerly accepted and purchased Dr. Mark Raymond’s practice, also in Exmore. 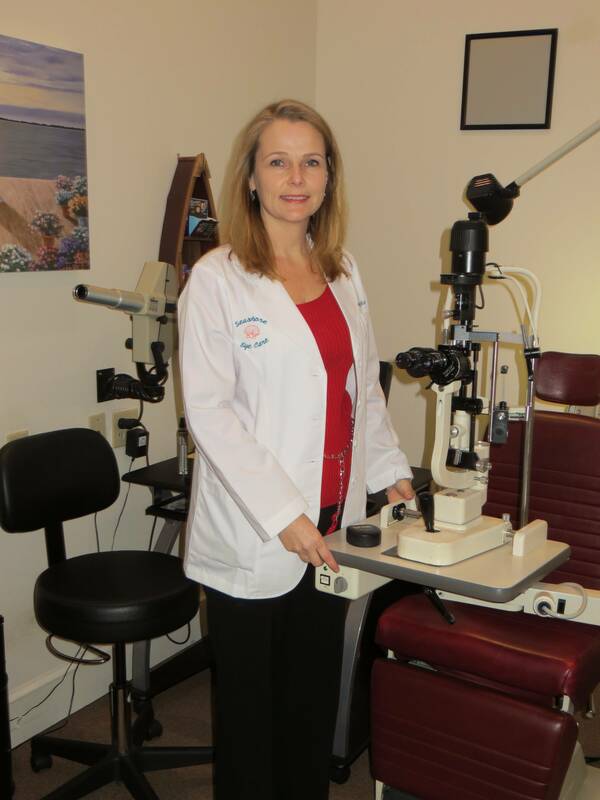 Dr. Turlington began Seashore Eyecare in July 2007, and it has continued to grow and flourish with her careful attention to details and the quality of time she spends with her patients. Dr. Turlington has a large patient base with many many glaucoma, macular degeneration and diabetic patients. She is a state recognized Low Vision provider. She also provides primary care and pediatric vision care as well as some vision therapy. She also fits large amounts of glasses, contact lenses and specialty contact lenses. Dr. Turlington helps co-manage surgeries with many doctors in both the Virginia Beach/Salisbury area to help reduce her patients’ time spent driving following an eye surgery. While she is extremely busy in the office, outside of the office Dr. Turlington and her husband are kept busy with their two active children. She married her high school sweetheart, Peter Turlington and the family resides on the Eastern Shore.